A video of a Norwegian woman testing out a jet thruster has gone viral with over 3 million views and 47,000 shares in one day. 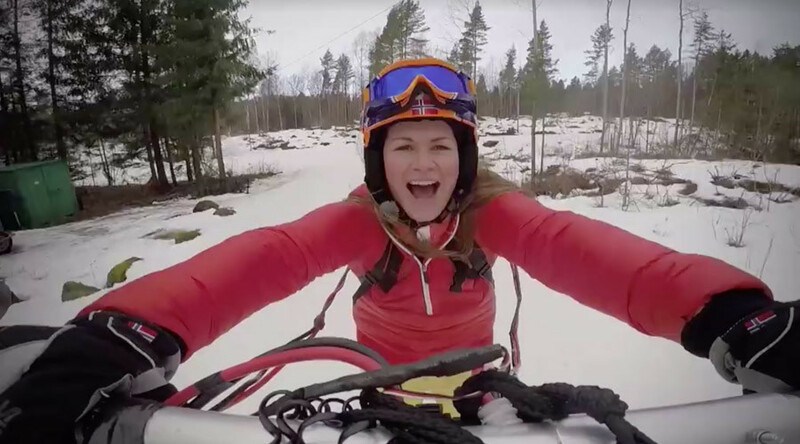 In the video, the woman tests out the thruster while skiing and quickly demonstrates what the jet can really do as she reaches a whopping 86 km/h using the handheld device. The battery-powered jet comes from the UK-based DreamScience team, who invented the “Thruster” as a means of adding extra propulsion while paragliding and landboarding – extreme sports reliant on favorable wind conditions. As well as providing a useful boost, the company says the device is ideal for slowing down imminent crashes. You could also use it to impress people with a spot of unexpected uphill skiing. Extreme sport enthusiasts have since made the device their own by using it to add exhilarating speed when surfing, wakeboarding and rollerblading. The device is still in its prototype phase, but Gizmodo reports it’s expected to sell for up to $10,000 when initially made available to the general public. Steep, but we all know just how crazy those daredevils are.